You can make this easy fish craft out of a recycled plastic dish soap bottle. The contours of the plastic bottle will become the shape of the fish’s body. You can create many of these fishes quickly and easily. By using recycled dish soap bottles in different colors, sizes and shapes, you can make many different types of fish. The completed fish makes a nice toy for older children to play with. To get started, you will need a clean plastic dish soap bottle, two google eyes, some scissors, a craft knife and a hot glue gun. Older children can help to make this fish craft, but don’t allow them to handle the hot glue or the craft knife. Try to recycle any other materials that you use in this fish craft project whenever possible. Remove the label from the recycled bottle and use a cleaner such as Goo Gone and a clean cloth to remove any leftover adhesive. Wash out the bottle to remove any remaining dish soap. 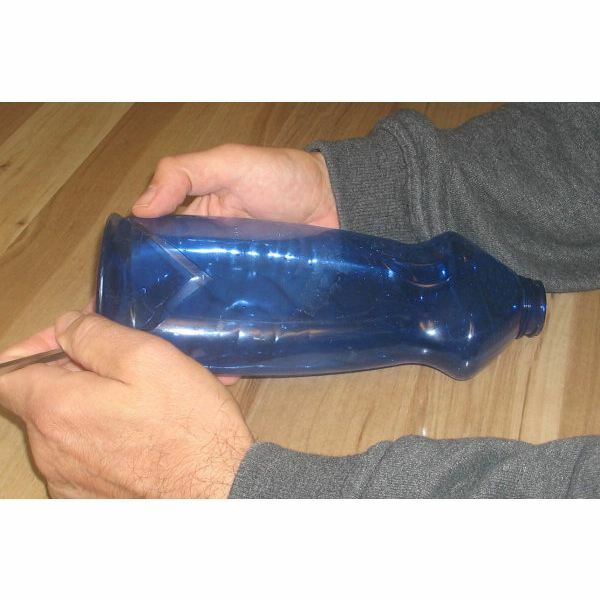 Then use your craft blade to cut a triangular segment out of the bottom of the recycled bottle. This end of the bottle will serve as the mouth of the fish. 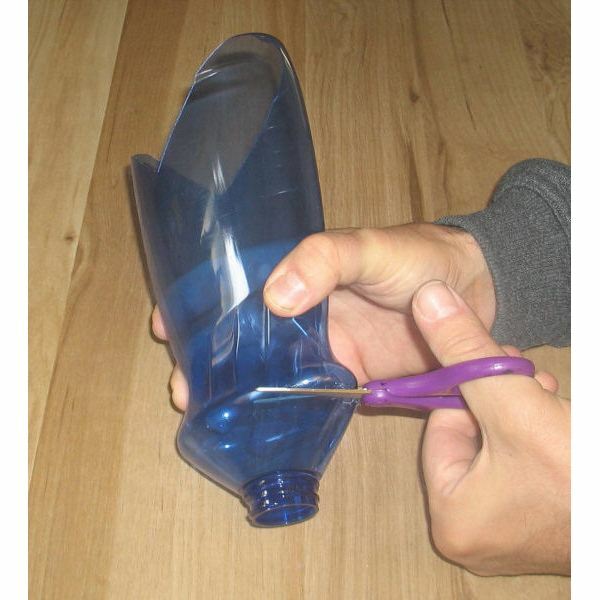 Use the pair of scissors to cut away the top of the recycled bottle. Then cut the segment that you removed from the bottom of the recycled bottle to create two long triangular plastic pieces. 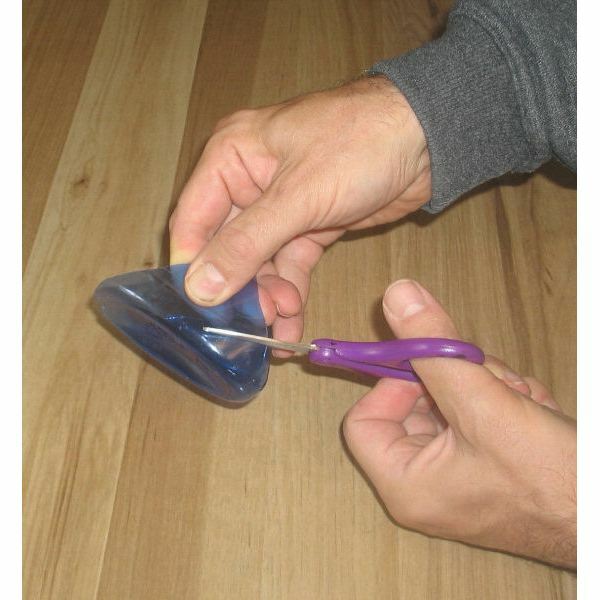 Then make two short cuts in the lower part of the fish’s body using your craft knife. Cut a small notch in the end of the triangular segments that you cut from the bottom of the recycled bottle. Insert these segments into the cuts that you created in the lower half of the fish craft. These triangular pieces will act as the fish’s fins. Heat up the hot glue gun for a few minutes, then attach the google eyes on the upper front section of the fish’s body above the mouth. If children will be playing with this recycled fish, use a nail file to file down any sharp edges on the fins, mouth or tail of the fish. 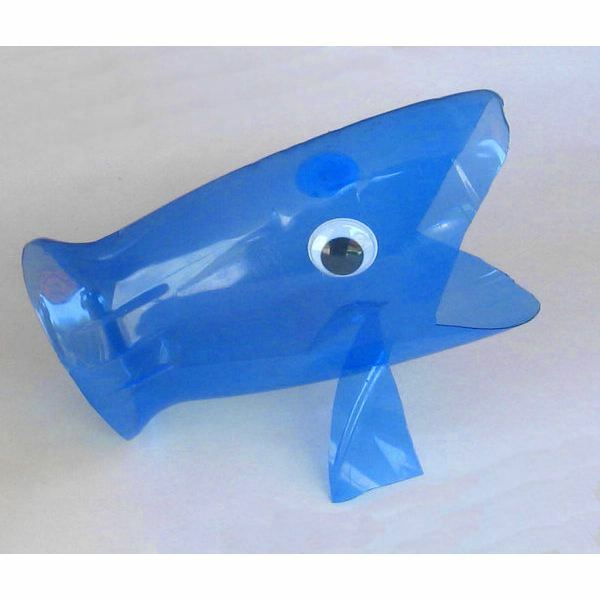 This recycled bottle fish makes an excellent toy for children to play with in the bathtub. However, don’t allow children under the age of three years old to play with the fish. If your kids are older than three, they can keep themselves busy by painting it with craft paint. However, supervise young children while they’re painting, even if they’re over the age of three. If you plan to use the fish as a decoration, you can use spray paint to make it look more interesting. Be sure to protect your workspace with recycled newspaper before using paint to adorn your fish craft. If you have lots of smaller recycled fish, consider making a fish mobile by hanging them from recycled materials such as an old coat hanger and some string. For more craft ideas, read Making Crafts from Recycled Materials, Making Art from Recycled Materials and How to Recycle Glass Bottles and Jars.